This week, GuysLikeU.com is proud to unveil a stunning exclusive shoot and interview with rugby union player Sam Stanley. Over the next four days, the gorgeous sportsman opens up to GuysLikeU‘s editor-in chief Christian Guiltenane in depth for the first time about accepting his sexuality, throwing himself into the dating scene, the dark times he endured and eventually finding love. Here, in a teaser of what is to come during the week, the 24 year old player reveals that when he came out Elton John was straight on the phone to offer him support. Sam also admits that when he was younger, he never thought he would ever get the chance to take part in a pride event but realises how important they are, especially in light of recent events in Orlando. 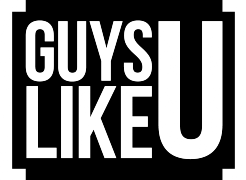 Read Sam’s touching and inspiring story throughout the week ONLY on GuysLikeU.com. TOMORROW: How I knew I was gay…. Awwww! Rugby ace Sam Stanley and boyfriend Laurence Hicks enjoy cute sky high date! EXCLUSIVE: Keegan Hirst on hiding in the closet, coming out and what he looks for in a man!